A parliamentary panel Wednesday confronted social media giant Facebook over its alleged inability to prevent misuse of its platform during elections and asked it to respond in writing to concerns raised. 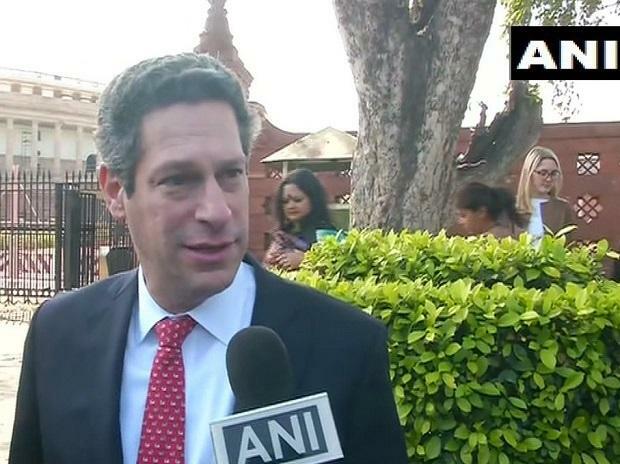 After grilling Twitter, the Parliamentary Standing Committee on Information Technology headed by BJP MP Anurag Thakur posed tough questions to Joel Kaplan, VP - Global Public Policy, Facebook, who tendered an apology for some of the comments made by the social media giant's employees on terrorism and Pulwama terror attacks, sources privy to the development said. The panel, they said, raised grave concerns over Facebook's inability to prevent its platform from being misused during elections and proactively help national security agencies. The social media giant gave a commitment to the Committee that the identify, location and who paid for advertisements will be available on a special web page for users. Facebook admitted it doesn't "always get it right" regarding content moderation on its platform, sources said, adding the committee members felt that despite all the apologies for past mistakes that Facebook has made, it still seems unwilling to be properly scrutinised and be transparent. Sources said Thakur questioned the Facebook representative over insensitive tweets and public comments by Facebook employees. To this, Joel apologised to the committee for remarks made by Facebook employees, they said. When contacted, Kaplan in an emailed statement said the company is grateful for getting the "opportunity" to show how the company is preparing for the Indian elections and helping keep people safe. "Facebook was forthcoming in trying to address the important concerns we raised. They thanked the Committee for the opportunity to express their views," Thakur said. "They accepted there is a need for corrective measures and that they are ready for them. They have said they will be in touch with the Election Commission and work on the information provided by the concerned ministries." Sources, however, said the panel members were unconvinced that Facebook and its employees are behaving neutrally and asked the social media firm to respond in writing to their set of written questions. Facebook said they are a 'hybrid company' and failed to clearly answer which regulatory framework would apply to their content, advertising and marketing operations in India, sources said. Joel, they claimed, stated that Facebook doesn't have all the answers but is eager to engage on the right regulatory framework. On media reports about phone number data breach of Indian users, Joel said this related to 'who can look me up' settings and terms of service do explain that fact. He stated that if Facebook was not doing a good job, it needs to fix it. "We have made mistakes in this area, we need to do more for trust to get this right," sources quoted him as saying at the meeting. The Parliamentary Committee members quoted the UK Parliamentary report on 'Disinformation & Fake News' which stated the management structure of Facebook is opaque to those outside the business and this seemed to be designed to conceal knowledge and responsibility for specific decisions. Facebook used the strategy of sending witnesses who they said were the most appropriate representatives, yet had not been properly briefed on crucial issues, and could not or chose not to answer many of the panel questions, sources said. The Guardian UK report regarding Facebook's global lobbying against Stringent Data Privacy Laws in countries around the world including India, was raised by one senior committee member. All members of the Committee expressed that they are unconvinced that Facebook and its employees are behaving neutrally, they said.